A classic style 3 reel machine with up to 5 lines to play. 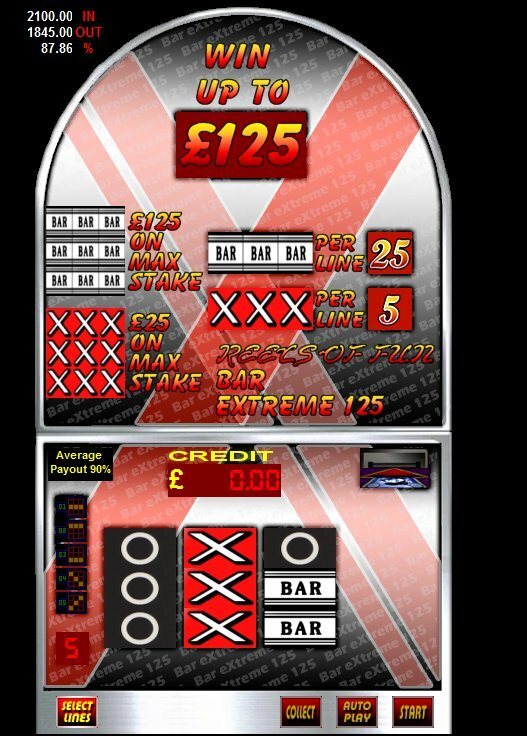 20p per line gives a maximum Jackpot of £125 if all lines are played and can be won from any spin and has an average payout of 90%. This game is random. Once payment has been made please request your game code via email to activate your game fully. Game updates and codes are sent out as soon as possible.